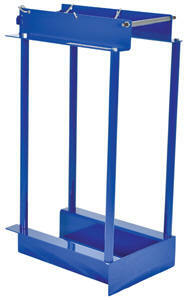 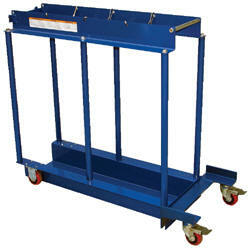 Transport cylinders safely with casters, overhead lifting assembly, fork mounted or pallet jack style cylinder caddies. 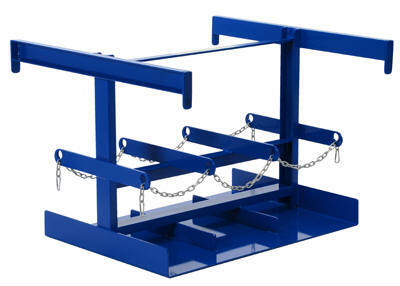 These units can hold anywhere from 2 to 8 cylinders and come complete with safety chains to secure the cylinders in place. 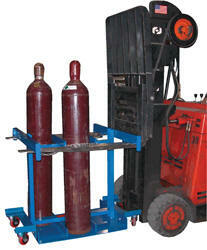 Made of all steel construction, these units hold cylinders up to 9-1/2" in diameter. 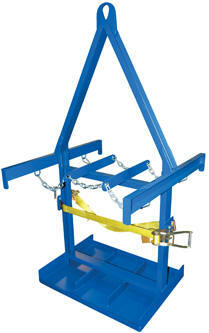 Includes web ratchet retaining strap and edge lip for added safety. 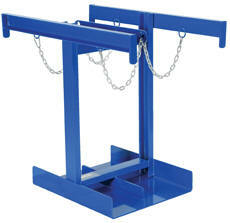 Holds up to six (6) LP tanks up to 12-1/2" diameter each. 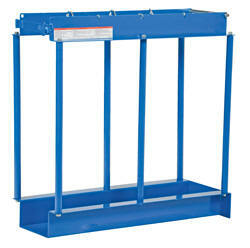 Made of all steel construction. 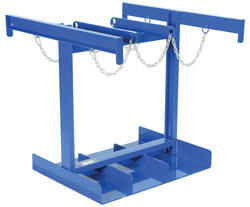 Safety chains to hold the tanks in place are standard. 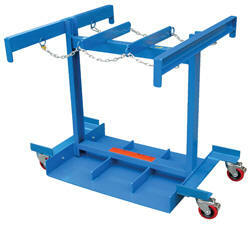 Portable with fork truck.